Mystery of Sauce Controller Game Solved! #makeymakey #makeymakeymonday « Adafruit Industries – Makers, hackers, artists, designers and engineers! 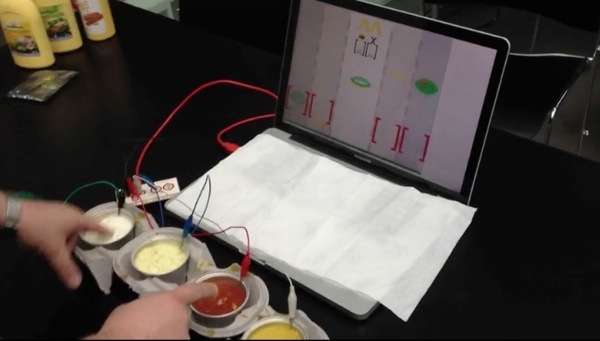 It was the first thing I did with my MaKey-MaKey a couple of weeks after starting a game design course at ITU. It was a stress test for group work. Was a fun project. I did not program the game, it was a group project. See a video here.